Just thank you for the Awards! 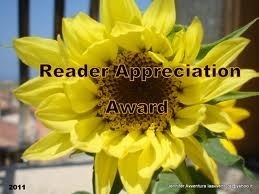 This is a quick post to just say thank you to my fellow bloggers that have nominated me for awards. I do appreciate getting awards and it does bring a smile to my face every time I receive one! So if I missing you in this list please remind me and I will update it. Hi you all! I am sorry I have been silent, but is US Open Tennis time and I have to make sure that I get all my tickets sold, so that is what I have been occupying my time with (besides work, tennis, Zumba and Pilates). After September 10th things should normalize and I will be back to my usual blogging self. I will be back to my crying over my broken heart. I have to tell you some times it seems the pain will never end!! I have been fooling myself way too long thinking that I will get a chance to work on the many awards I have been receiving. Now is the time to just go ahead and give that idea up and at least take the time to acknowledge the great people and blogs that have nominated me. They are all great blogs in their own unique ways. I urge you to stop by check them out! What does the above picture have to do with feeling the love? Everything! If you have or ever had a pet you know that there is no purer love than that of an animal. 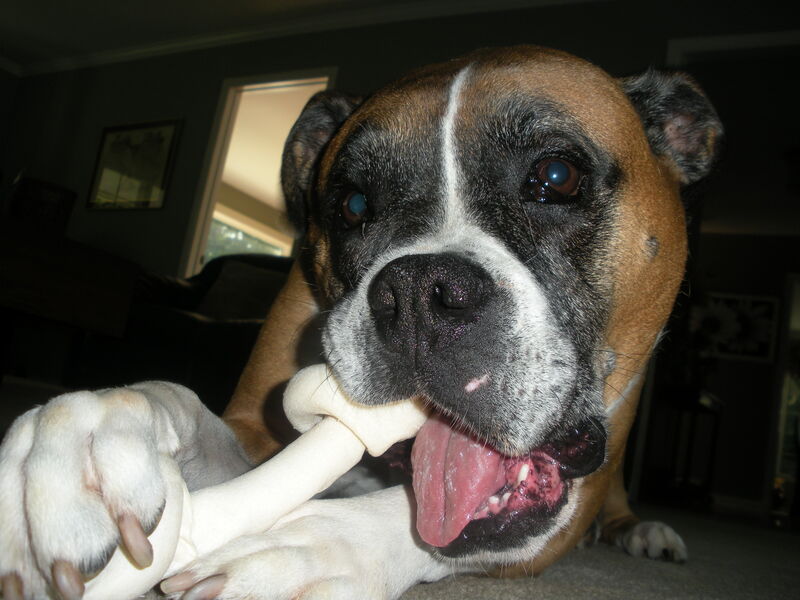 C., the above dog, made me feel loved on daily basis for 3 years. In my heart I still feel his love, even though apart. I miss him terribly and I still cannot make popcorn without crying. I picture him standing by the stove waiting for his share. To all the things, creatures, people we love and cannot have near us I take a moment and say a silent prayer. I ask God to bless and watch over them. For C. I say an extra prayer to St. Francis of Assisi. Your reading my posts pushed me along at times I wanted to quit. Your comments have allowed me to reflect upon my own words and question myself. You have added details I missed and you have offered another point of view. You have humored me with humor. And even when one of you had a mean comment, it served me to realize that I am not the only one hurting and capable of causing hurt with my words. When you complimented me you humbled me. When my words made sense to you my heart sang. Perhaps unbeknownst to you, you have been a friend at a time I needed the most. For that I thank you, not only from my heart but from my whole being, body and soul! THANK YOU READER FOR YOUR LOVE AND SUPPORT! Now as far as awards, I have been, ummm, what is the word? lazy? thoughtless? inconsiderate? rude? etc, etc, but anwyay, no matter what word is chosen the fact is that I have not properly acknowledged and thanked the bloggers that have, over the past couple of months, nominated and mentioned me. This carelessness should not, in any way, imply a lack of happiness and gratitude! I am overwhelmed by the recognition! So until I have a chance to work on each single Award, I want to take this time to thank the blogs that have nominated me. They are all great in their own right. They are as diverse as the day is long. I suggest you visit them all and see what they are all about! I have 16 awards to work on. Yes, you heard me! 16!! SIXTEEN!!! I want to state for the record that I will mess up. and for that I apologize in advance. 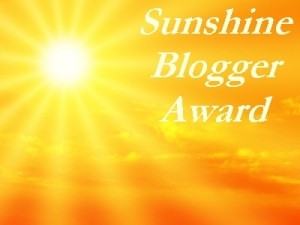 I am going to start with the Sunshine Blogger Award. 1.Repost the award in a post that includes the blog of the person that nominated you. 2.State 10 things about yourself. 1. Thank you to the following bloggers for thinking of me. Each one of them is special to me in an unique way. They have great blogs that I recommend you check it out. The good thing with getting many awards, other than feeling special, is getting to nominate a whole bunch of people. The blogs I am nominating range from poetry to recipes, from photo blogs to dating life, from book reviews to bible verses and everything else in between. They are new bloggers and old ones. Some post everyday while others are less frequent. But they all have something to say and they all have commented on my blogs and I appreciate them all. Go and check them out. I have received the Very Inspiring Blogger Award!!! Thank you Paula http://paulaacton.wordpress.com for thinking of me with this award! She is a talented writer and mother. She writes short stories, poetry and family. I also enjoy her book reviews. Please go check her out! 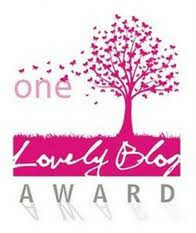 Nominate 7 people for the award with links to their pages for the for the Very Inspiring blogger award . 1) I have an identical twin sister that I adore! 2) My first language is Portuguese. I was born in Brazil and travel there twice a year to see my family. 3) I love dogs, but don’t have any. I miss terribly the dog that I had with Ex. I don’t miss Ex anymore, I miss C., the dog. 4) I am not afraid of dying. I am afraid of getting old and losing my independence. 5) I choose to be happy on a daily basis. I am an optimist and feel blessed to be here. 6) My car is 25 years old. I hate driving and the best guy for me will enjoy driving me around. 7) Aries is my sun sign. I am a horse in the Chinese horoscope. I am independent, born to be a leader, impulsive and stubborn. I am choosing to nominate the blogs that have been my first followers and commentators. Their support have inspired me to keep going. They are all fun blogs that range from daily observations of life to poetry and everything else in between. Please check them out! Congratulations to the nominees. Let us all continue inspiring one another! I have received 4 awards this weekend. I feel overwhelmed with happiness and gratitude towards all the bloggers that nominated me and all that follow me. But so it doesn’t feel too much like homework I will work on them slowly. Thank you Boomie for thinking of me!! Your comments and support have been a bright light on my blog. http://frankoshanko.wordpress.com/ – Frank is someone that used heartache and addictions as a springboard to the pursuit of self discovery and fulfillment. He is a person full of gratitude and love for life. His comments to my blog have been right on target and what I needed to hear. Thank you! http://athingirl.com/ – Susannah is a smart, cultured and sophisticated city girl! She has a discerning eye for details and a creative mind to go along with that. She has a fun way of writing about the world around her, normally describing details that we miss. She tackles any subject with grace and humor. She has been a very supportive blog friend! Thank you! They are both beautiful people in and out, therefore deserving of this award! Proud recipient of the Liebster Award!! I don’t want to seem dumb, but, who is Liebster or what is a Liebster? Was it a typo? perhaps it is Lobster? As far as I understand, this one is awarded to new blogs that have under 200 followers. ok, I qualify on both counts. Perhaps Liebster is the “keep going, don’t give up” award! Whatever it means, I feel special getting it! Getting any award is fun!!! Well getting anything is fun, some times even getting a cold can be fun (you know, staying home from work, in bed, watching tv, mom making chicken soup). Thank you http://boomiebol.wordpress.com/ for thinking of me! This should be an easy award to accept and pass it forward, but of course not that easy to this newbie. And here is where my WordPress blog ignorance will really shine: How do I know how many followers a blog has? So I am going to figure that and then return and update this post. In the meantime if anyone can give me the answer and save me some time, I will be forever grateful. Thank you so much! You have made my day! 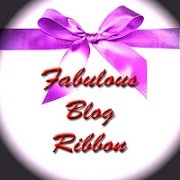 3) Nominate 10 to 12 other fabulous bloggers. Holidays with my family. Playing and going to school with my twin sister. 2. What is a real fear you have? I am hard-working and determined. I love a challenge. I accept hardships as great chances to grow. Sometimes too stubborn and impulsive. I believe in the Power of God, the Universe and my own! A lover and a friend. 4. What states have you lived in? Only 2, Sao Paulo in Brazil and New York in the US. My style is comfortable and laid back but I am trying to be more sophisticated. 6. What is your favorite breakfast food? French baguette with butter and coffee with cream – heaven!! I have been trying to focus on tennis and skiing. I also love mosaic, so I am trying to work on that – I can’t find a class anywhere. I am in love with blogging – it got me writing again and it got me connected to great people! I am teaching myself French until I find a class that fits my schedule and budget. Etc, etc, etc. 8. 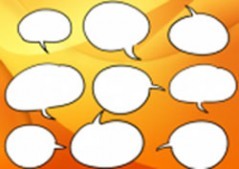 If you could tell people anything…what would be the most important thing to say? The most important thing you can tell people is the truth at every moment! Besides that I want people to know that they are more powerful than they think, and I want people to dream! 9. What is one of your “passions”? I am still looking for my passion in life so in the meantime I try to be passionate about whatever I am working on at the moment. I am passionate about not missing opportunities. I passionate about not losing the lesson. I am passionate about living a full life and taking advantage of all the blessings I have been given! 10. What is one truth that you have learned? No one dies from heartache! There is a purpose for everything in life. There is a time for everything in life. Patience!! I have chosen my nominees, not only for their great blogs, but some for their most insightful comments to my posts. They have made me question myself and often times pointed out something that I had missed. Their blogs provoked me. They made me laugh and cry. They often times taught me something new about something I didn’t even know I was interested in (if that makes any sense). So nominating them is my way of saying thank you and please continue!